Hotel Venera** is a great place for an cosy overnight stay in an excellent location in the heart of the old city of Zadar. 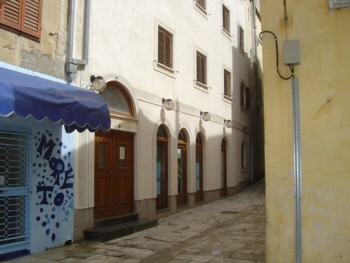 This charming hotel is situated in a quiet street away from traffic noise, but close to many sources of entertainment. Hotel Venera is only 8 kilometres from the airport and a few steps from the beautiful blue sea. Near the hotel are also many attractions such as Sea organ, museums and beautiful promenade of Zadar. 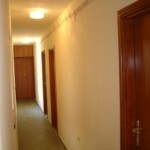 Hotel Venera has 12 nice hotel rooms of which are all double. The hotel rooms have twin beds with a small bedside cabinet between them or a double room with double bed. Rooms in the hotel Venera have no either a balcony or terrace but they have little small windows through which sunlight enters. The bathroom has a shower / tub, sink, toilet, mirror and clean towels. 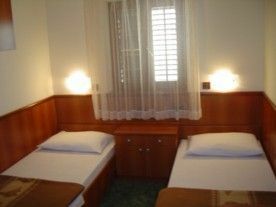 All the rooms in hotel Venera are quite small but very comfortable and ideal for an overnight stay and enjoy in the city centre. In the hotel Venera, all children under 6 years stay free of charge. 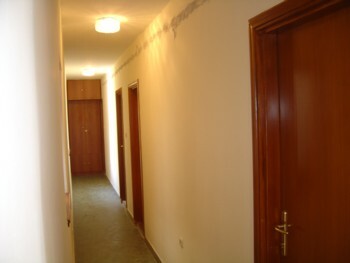 All rooms at the hotel are air conditioned and very breathable. 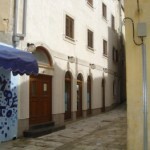 The hotel is an excellent choice for an overnight stay in the city center with excellent location and affordable prices. For a good time, in the vicinity of the hotel, there are many bars, restaurants and nightclubs.